Hi everyone! My name's Amanda and I'm a second year nursing student this year! I was an Aquila member last year so I'm very excited to become an advisor for 2018! I love playing sports, especially basketball, and I enjoy watching AFL, go Bombers! I also love animals, and I have two guinea pigs at home. I can't wait to meet new people and make new friends in Aquila this year! See you all soon!! Hi all! My name is Anandita. I am a third year student paramedic, and thrilled to be part of Aquila! I am deeply passionate about Harry Potter, and love reading books. I have spent an ungodly amount of time watching videos about icing cakes, and I love to embroide. I’m a big fan of the X-Files and giant jigsaw puzzles. I can’t wait to get to know all of you more in 2018. Hello! I'm Andrea, from Malaysia and currently in my third year of nursing and midwifery. I enjoy playing hockey and almost keen to play any other sport! I also enjoy volunteering during my free time (come join me!). I’m excited to take on the year together with all of you, so feel free to hit me up at anytime! I am a second year Bachelor of Nursing student. I have been working as an Endorsed Enrolled Nurse for the past two years and love it! I love hanging out with friends, and am always down for a cup of coffee! I have recently (and continuing to learn) learnt how to play basketball and netball, both of which I enjoy. Even though I love going to the beach during summer, you will have more of a chance finding me on the couch during the Australia Open. As for state of origin, GO THE BLUES!!!! Hey everyone! My name is Emma. I'm in 4th year studying Occupational Therapy at Peninsula Campus. 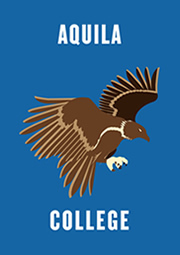 I'm really excited to be part of the brand new Aquila College! Hello all!! I am Jason and I'm currently studying second year Physiotherapy. I am really passionate about interacting with others and getting to know people to the best of my ability. I love playing literally any sport, travelling, listening to music (indie is my jam), and of course, playing video games. I'm extremely excited about being part of Aquila and look forward to meeting all of you!! Hi there, my name’s Kevin and I'm a second year Physiotherapy student. From soccer to cooking to good old computer games, I'm a bit of an all-rounder in that I love any activity so long as I'm surrounded by passionate people or learning something new. For better or worse, I'm fiercely competitive, love a challenge and always looking to push my limits. As a new advisor, I'm a little rough around the edges but I'll do my best to make sure I can make you as happy as this college has made me! Hey everyone!!! I’m Kurt, a second year studying Emergency Health and Paramedic Practise. I’m into all things outdoorsy and love spending time in the sun. I love to laugh and if I’m not outside,I like to play computer games, read or play guitar. I also LOVE music, particularly the punk genres; with my favourite band being Blink-182. So if you play either bass guitar or drums and love Blink as much as I do, I’d be super keen to jam!!!! Anyway, can’t wait to meet you all and share laughs!!! I LOVE CHEESE!!! Well, what a strong impression. I am Lucy and currently studying my second year in Emergency Health (Paramedics). It is actually my first year being involved as a student advisor for Non-Residence College, and guess what I am just as super excited as I am eating cheese. This year my goal is to build as many friendships just by getting to know everyone and laughing with new people. Give me a buzz anytime and cannot wait to learn, chat and be able to share a bit about myself to y'all. See you soon! Welcome, welcome, welcome to the greatest experience university has to offer! Assuming you join NRC of course... You think I'm joking? Well, my name is Meg, and as one of your 2018 student Advisors for Aquila College, returning for a third year in the Non-Residential Colleges program, I can promise you this is a journey you do not want to miss out on. I'm currently studying a Bachelor of Emergency Health and Paramedic Practice and love watching gory videos with surgical procedures. I am a huge animal lover, and I have a massive soft spot for dopey pets (pls send me pics of your pets). I eat far too much chocolate, but love getting active, whether it's a game of netball or a solo dance party in my room :) I can’t wait to meet you all and expand on the amazing things we accomplished in 2017, to make 2018 the best year yet!!! Hi everybody! I'm Mikhail, but everyone calls me Mik! I'm a second year international student from Singapore, studying Education (Early Years). I enjoy chilling, listening to music (literally anything except heavy metal), trekking, gaming, and going out with friends. I like playing all sports, although I'm not necessarily good at any of them. Looking forward to meeting new people and doing stuff together! My name is Rareș and I'm a paramed student. I enjoy camping, hiking, lofi, blues rock, lots of nerdy stuff, NOT CORIANDER, and jamming football. My greatest fear is temperatures >28*C. my goal is to assist living with homelessness. So yeah, hopefully see you around! Hello everyone! :) My name is Sam. I'm a 4th year Occupational Therapy student. I'm so glad that I can be part of the brand new Aquila College in my final year of studies. Hey, My name is Sharna. I am a second year student studying to be a paramedic! I enjoy rock climbing, hiking and cliff jumping. I'm always looking for something new and exciting to do - life is good!! I'm a very friendly, outgoing individual, so feel free to approach me whenever you need. :) Can't wait meet you all! Hello everybody!! I'm Yuti, a new advisor! I will be a second year student in 2018 and studying to be a teacher. I like watching all kinds of movies in my spare time, except for the horror films. I enjoy doing exciting and interesting things, such as bungee jumping and skydiving (although they are on my to-do-list). I try to teach myself Spanish (¡hola amigo! ), and enjoy listening to Spanish songs. I am so excited to be one of the Aquila advisors. Looking forward to meeting you all!! Hope you enjoy the wonderful time in Aquila College, I promise you will like it! Authorised by: Monash Connect. Maintained by: Connect Communications. Last updated: Jun 2018.